I have decided to focus my senior thesis on the disappearance of honey bees. 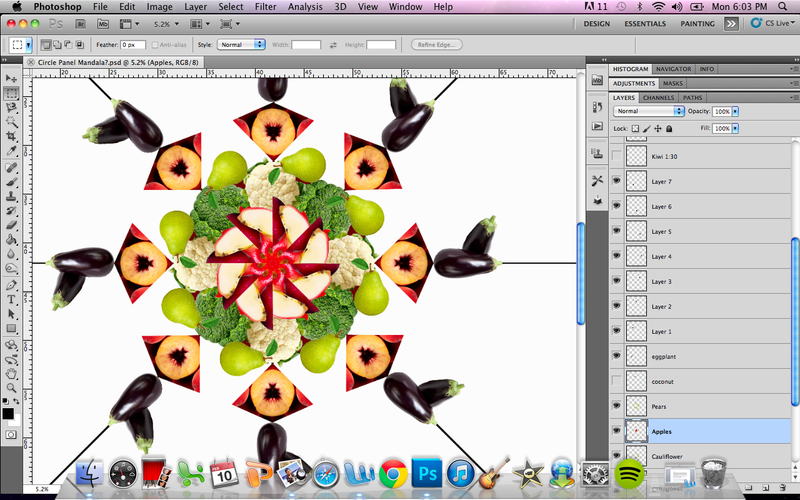 My current plans for DAAP Works include mounting a series of hexagon-shaped lenticular prints onto an 84″ X 84″ circle panel in the shape of a honeycomb.The lenticulars will work as a flip image, with one image being a mandala of all the fruits/vegetables we will lose without bees, and the other image being a collage of bees (When you look at the panel from the left side, you will see the mandala, when you look at it from the right, you will see a collage of bees). 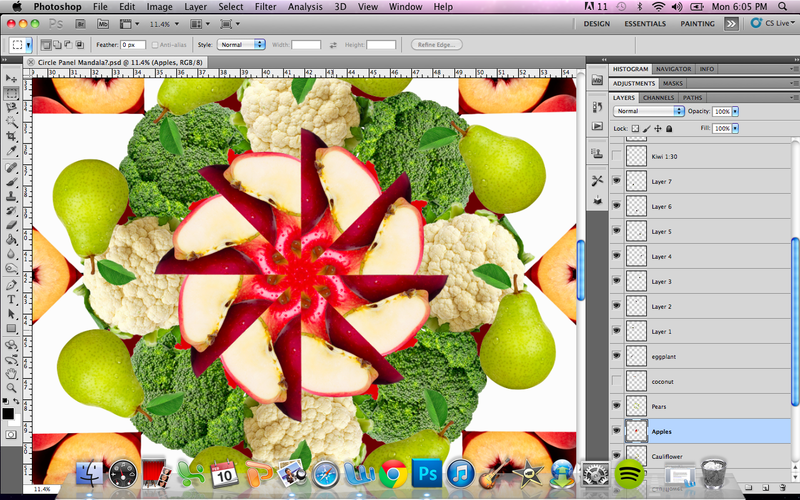 I have started to design the mandala using Photoshop. I am using the internet to find images of fruits and vegetables, using this site as a reference to which fruits and vegetables we will lose without honeybees to pollinate them. This is somewhat of a continuation of my piece, “E. coli Runoff” that I displayed in the Dry Run show, which utilized both the circle and the lenticular. This time, however, I am focusing on a different aspect of mega farming.